It’s true, I actually wrote that in a blog post back in March 2010 called Is It A Bird? Is It A Plane? No, It’s….The Cloud! Until now I’ve not really given it to much thought. Obviously, working at VMware I needed to understand vCloud Director, but that was only really from a functionality/design perspective. However since starting my new role at Canopy I’ve begun to take more notice of “The Cloud” and what it has to offer to both consumers and also to businesses. Whilst working for a Canopy I’ve found it very easy to get immersed into a bubble and end up only paying attention to what the company offers as products/solutions. So much so, I began to lose the bigger picture and stopped thinking about what other cloud products/solutions there were out there, not just for businesses but also to us, as consumers. It wasn’t until a few days ago when I was sipping cocktails on Sentosa Island when I realised, without really noticing it, I was already a heavy consumer of “The Cloud”. However my consumption wasn’t of solutions like SaaS,PaaS, IaaS etc which I used to class as “typical” cloud offerings. My consumption was, in my eyes more subtle. This maybe because there wasn’t a large initial cost on purchase which I personally associate with the “typical” cloud services. There also wasn’t a massive operational change, which is another invisible cost that I also associate with “Moving to the cloud”. Let’s look at my mobile (cell) phone (Android). If I want to make a call on my phone, I can search my contacts for the person I want to call. All of the contacts on my phone are automatically sync’ed to my Google account. 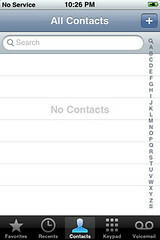 If I loose my phone, I still have all of my contacts. How many times do you see Facebook posts which read something like “New Phone, DM me your numbers!” ? This is no longer an issue for me. All of my contacts are sync’ed to “The Cloud”. Another good example; My friend accidentally drops his phone in his beer (it happens!). The phone is now dead. He turns to me and says, “I’ve just lost all the photo’s of my son’s birthday”. – This something that happens far to often. It doesn’t have to. I have setup a FREE Dropbox account and installed the Dropbox app onto my phone and configured every photo to be sent to my Dropbox account after it is taken. If I lose my phone, my photo’s are still available to me via the Dropbox website. I’m not going to keep throwing examples at you as I am sure you get the point. But I will give you a quick list of some of the “Cloud” services that I use as a consumer on a regular basis (I have purposely not included Cloud services I use for my job at Canopy). I am very surprised at the amount of “Cloud” based services I already use without really noticing. I was also surprised that I actually pay for some of these services. In the past I’ve always been reluctant to pay for these services, I’d always make do with the free offerings. However it’s got to the point where I use them so much day-to-day, it is actually beneficial for me to pay for these premium services. I think my use of Cloud services has stemmed from my use of mobile devices. I have a phone, a couple of tablets, laptops etc. I want my data to be accessible to me regardless of where I am or what device I am on, so I look for services that can allow me to do that. In an ideal world I would like to be able to do my day-to-day work tasks from any device – anywhere, however I don’t really want to use a VDI to allow me to do this. I think I am nearly there! 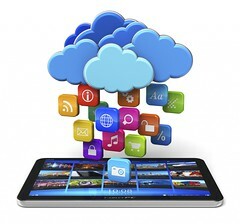 I invite you all to take a step back, flick through the app’s you have on your mobile devices, TV’s, computers and take a look at how many Cloud services you are actually using. Did it surprise you as much as it did me? Cloud computing is clearly not a fad, I actually think it is the future. We will continue to see more and more of our data move off of our devices and be stored in cloud services allowing us to access it whenever and where ever we are in the world. This future excites me. Is It A Bird? Is It A Plane? No, It’s….The Cloud!